GM engineers took the production 430HP LS3 and added their Hot Cam with 0.525" lift on both the intake and exhaust along with 219-degree/228-degree duration specs. This is less lift on the intake side than the stock LS3 cam, but with considerably more duration. 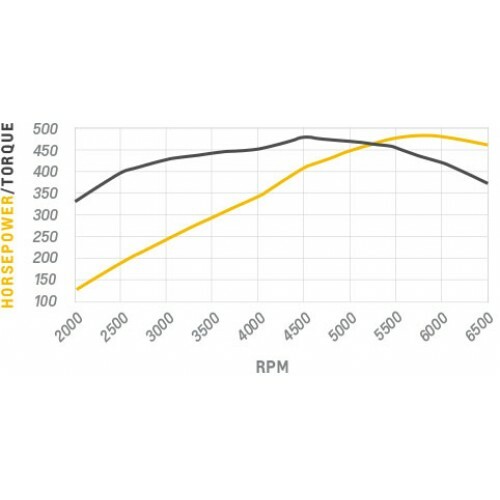 As a result, peak horsepower comes earlier than the stock LS3 and the torque curve remains flat higher on the rpm band. Rocker arms with a 1.7:1 ratio sit on top of the heads whilst in the bottom end, the aluminum 6-bolt/main block features 4.06-inch bores and a 3.62-inch stroke nodular iron crankshaft, powdered metal rods, and aluminum pistons (10.7:1 compression ratio). Cylinder heads are the stock LS3 / L92 style. 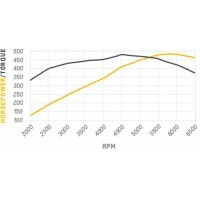 The LS Hot Cam created a jump in horsepower from 430 to 480 whilst the torque increased from 424 lb-ft to 475. 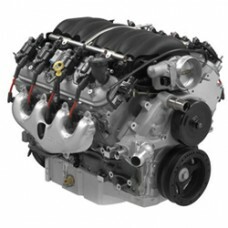 These engines are now supplied with the Chevy SS oil pan and exhaust manifolds rather than the Corvette items shown. Bank transfer is required to purchase this unit - contact us for details.